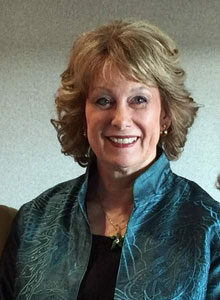 Jane Bumpers Huffman, Professor Emeritus, retired in 2016 as the Moses Endowed Chair in Educational Leadership at the University of North Texas in Denton, Texas. She earned her doctorate at the University of Oklahoma. Her research and teaching areas include change management, leadership, professional development, and professional learning communities. Dr. Huffman was the Educational Administration Program Coordinator and Lead Doctoral Advisor. She also served as the Assistant Department Chair for Graduate Programs. Dr. Huffman has served as major professor for 54 doctoral students, and in 2009, she received the University of North Texas Outstanding Doctoral Mentoring Award. In 2014, she was presented with the University of North Texas Research Leadership Award. In 2009 Dr. Huffman was invited as a Visiting Scholar to National Taiwan Normal University and founded the Global PLC Network in Asia. In 2011 she delivered a keynote address to the Educational Research Association of Singapore, and in 2013 she was invited as the Visiting Scholar at the University of Canberra, Australia. Dr. Huffman has published 18 international and national peer-reviewed articles and 12 book chapters. With Dr. Kris Hipp, she co-authored a 2003 book entitled Reculturing Schools as Professional Learning Communities (which is translated into Chinese), and a 2010 book titled Demystifying Professional Learning Communities: Leadership at Its Best. Dr. Huffman also co-edited a book in 2017 with Dr. Alma Harris and Dr. Michelle Jones titled Teachers Leading Educational Reform: The Power of Professional Learning Communities. She has presented 46 international and national refereed presentations.